We are looking for a native English teacher from January 2017. 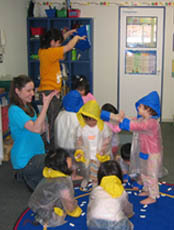 Teaching a group of children in a developmentally appropriate preschool curriculum. Also teaching English school to children and adults. Native English teacher living in Japan. more than one year commitment all necessary. Able to work in a team or alone. If you are interested in the position, please contact us through inquiry form.